One Eternal Day: "I liked him for his goodness"
It was here that I first read a volume of Chesterton’s essays. I had never heard of him and had no idea of what he stood for; nor can I quite understand why he made such an immediate conquest of me. It might have been expected that my pessimism, my atheism, and my hatred of sentiment would have made him to me the least congenial of all authors. It would almost seem that Providence, or some “second cause” of a very obscure kind, quite over-rules our previous tastes when It decides to bring two minds together. Liking an author may be as involuntary and improbable as falling in love. I was by now a sufficiently experienced reader to distinguish liking from agreement. 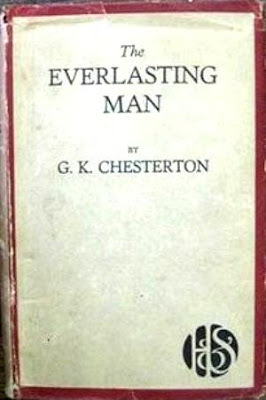 I did not need to accept what Chesterton said in order to enjoy it. His humour was of the kind I like best – not “jokes” imbedded in the page like currants in a cake, still less (what I cannot endure), a general tone of flippancy and jocularity, but the humour which is not in any way separable from the argument but is rather (as Aristotle would say) the “bloom” on dialectic itself. The sword glitters not because the swordsman set out to make it glitter but because he is fighting for his life and therefore moving it very quickly. For the critics who think Chesterton frivolous or “paradoxical” I have to work hard to feel even pity; sympathy is out of the question. Moreover, strange as it may seem, I liked him for his goodness.